Have you ever taken part in a beach clean? It’s a really easy way to make a positive impact on the world. Every single piece of litter which you collect from the beach makes a difference – because it’s one less harmful thing to be eaten by sea creatures and to pollute the environment. You can take part in official beach cleaning events, volunteer to organise your own or simply collect some rubbish when you’re out and about and on your travels, on the coast or elsewhere. If I lived on the coast I think that I’d be a regular beach cleaner, as I enjoy it. 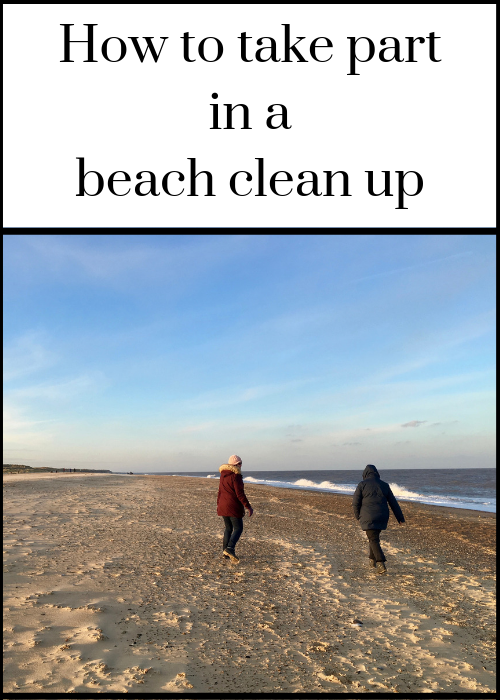 The first time that I took part in an organised beach clean was in Wales on a National Trust working holiday with my husband and our son, who was nine years old at the time. We stayed on the Stackpole Estate in Pembrokeshire and got involved with conservation tasks, as well as taking part in fun outdoor activities. One sunny day we kayaked to beautiful Barafundle Bay for some beach cleaning. When we arrived I thought that the beach looked pristine, but our group of 12 adults and children had soon filled four large sacks with litter. It was kind of like a treasure hunt, with the kids competing to see who could collect the most rubbish. It was a lot of fun, and very satisfying to see how much we collected so quickly and easily. My second official beach clean was in Worthing, on England’s south coast, when I took part in the Marine Conservation Society’s annual Great British Beach Clean. I went along with a friend and her teenage daughter on a sunny Saturday morning for the hour-long event. Around 90 of us volunteers turned up, including children and adults of all ages, and we were put into groups of around eight people. 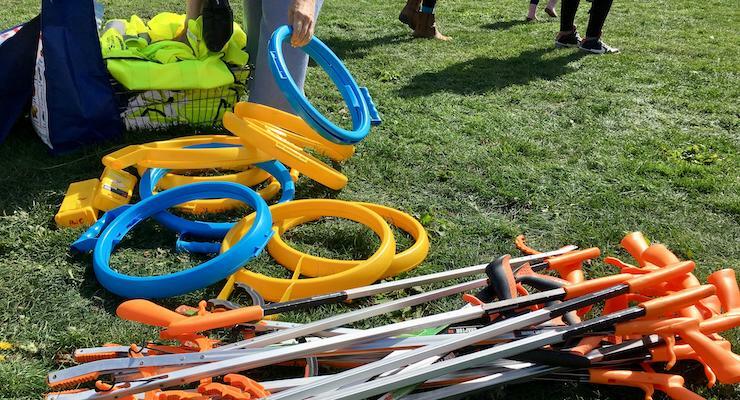 The organisers provided each group with gloves, hi-viz jackets, litter pickers, and bags and lidded plastic pots (for anything sharp) for collecting litter. Each group was assigned to a different section of beach. One person in each group had to categorise and record the types of rubbish which we collected, as the event is used for monitoring and research as well as cleaning the beaches. I moved slowly around our section, a few steps at a time, eyes scanning the shingle for litter, while chatting to my friends and the others in the group. As before, I thought that the beach looked clean when we first arrived, but once we looked closely we found and collected a lot of rubbish. If you’re in the UK, even if (like me) you don’t live on the coast, you’re never that far from the sea. The furthest inland point in the UK is a farm in Derbyshire, which is 70 miles from the sea, and London is only 35 miles from the coast. If you’d like to take part in an organised beach clean as a volunteer, here are some events which you can sign up to. Surfers Against Sewage organise The Big Spring Beach Clean at UK beaches each year in April and The Autumn Beach Clean in October. If you live inland, you can still make a difference to the marine environment. Much of the plastic pollution in the oceans starts off as litter in our towns and cities. Because of this, the charity Not Whale Food is urging us to take part in urban beach cleans, to collect litter before it gets anywhere near our beaches and seas. You can find out how to get involved here: Join Our Urban Beach Clean! Have you ever taken part in a beach clean, or would you like to? 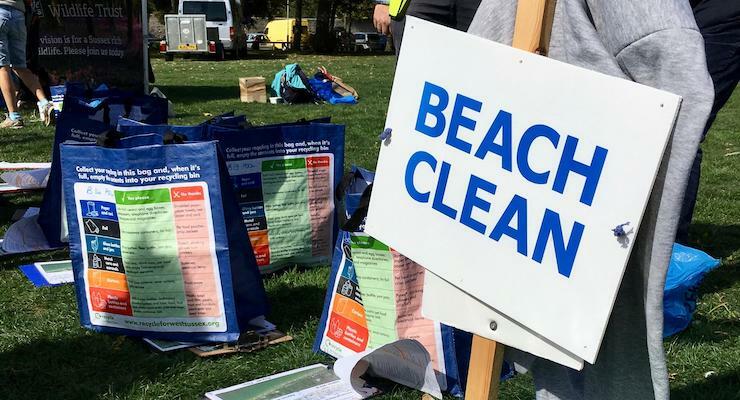 Do you know of any other beach cleaning events which people can take part in? I’ve volunteered on a beach clean before. And that activity gave me a joyful feeling. You’ll be happy if you’ll be able to help especially the Mother Earth. As a traveler, our main goal is to travel and protect the wonders of this planet.